For best results there is a right way to freeze fresh vegetables. It's a fairly simple process that anyone can do. There is more to freezing vegetables for future use than just throwing them in a bag and tossing them in the freezer. Without proper preparation, your vegetables will come out of the freezer tasting grainy, mushy or freezer burned. Sometimes they will not even be edible. Luckily, the proper way to put up fresh veggies is a simple process that anyone can do. It doesn't take any fancy equipment or a lot of time. All you need is a pot, water, and your container of choice, bags or plastic. Freezing veggies the right way will give you delicious and nutritious food to eat whenever you want. It is especially nice in the wintertime when the price of fresh vegetables go up to ridiculous proportions. For added savings, you can even grow your own vegetables to freeze. For a small investment, even apartment dwellers can raise their own veggies. The savings can be significant, not to mention your own produce is pesticide free and the healthiest food you can eat. Why not give it a try? 1. Beans, peas and okra are fine to freeze whole. Larger veggies like peppers, onions, leeks, cauliflower and broccoli are better if cut into uniform pieces before freezing. 2. Before freezing, vegetables need to be blanched. Blanching is a simple process, just take the vegetables and drop them in boiling water for about 2 minutes (no more or you will cook them) then scoop them out and drain until they are totally dry. 3. You can now freeze them in zipper freezer bags. 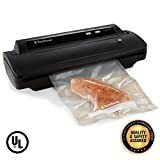 (make sure to get as much air out of the bag as possible, before zipping) You can also use a vacuum sealing system, (this is what I use) or plastic freezer containers. Tomatoes are kind of a special case. You can freeze them whole or quartered with the skins on, or you can blanch them in boilng water for one minute and then plunge them in cold water. Their skins should peel right off. I prefer to freeze them chopped without their skins or to puree them in my blender and freeze them as sauce. I have been using planter bags for a couple of years now, and I cannot recommend them enough. I have a small yard, with clay soil, so it is very hard for me to plant a garden in the ground. When I saw Dirt Bags on a gardening show, I immediately looked them up online and found them on Amazon, and I bought four of them. As an experiment, I planted peppers in one, a tomato plant in the second, potatoes in the third and a green bean bush in the forth. I wanted to see which veggie thrived the best in the bag planter. Much to my surprise, they all did wonderfully! The potatoes were so easy, it was awesome! When it came time to harvest them, I simply turned the bag upside down and dumped it in my wheelbarrow and the dirt was just full of beautiful potatoes. No digging necessary, I just plucked the gorgeous potatoes out of the dirt, washed them off with the hose and took them right into the house to the refrigerator. The rest of the stuff that I planted also was beautiful, healthy and provided me with enough to eat for the summer and put up some in the freezer to have for the winter. The cost was a pittance compared to what I would have paid for all these vegetables in the store. 1. Health - Eating vegetables is good for you, not to mention it helps reduce the waistline, something many people will love. 2. Pesticide Free - Your own food that you grow will not be doused in chemical fertilizer, pesticides, and growth induction hormones from the minute it is planted. It is safer and healthier to eat than commercially grown produce. 3. Living more "Green" - In more ways than the obvious, growing your own food cuts down on the gas used to deliver food, the plastic used to bag it, and if you compost the leftovers, it reduces the garbage you produce. Not to mention that growing plants gives off oxygen, something we all have to have. 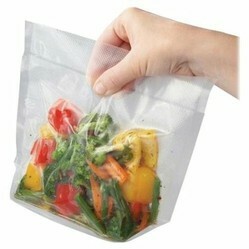 Now that's a great way to go about freezing your veggies, have to give it a try. One of the best Father's Day gifts I ever got my dad was a container garden and tomato starts. At the time, he just wasn't up to keeping a full garden, but he was so very proud of his "porch" tomatoes. If you are looking for a great gift for a hard to buy for dad...this just may be it! Gorgeous recreations of the magical jewelry from the popular Harry Potter movies.